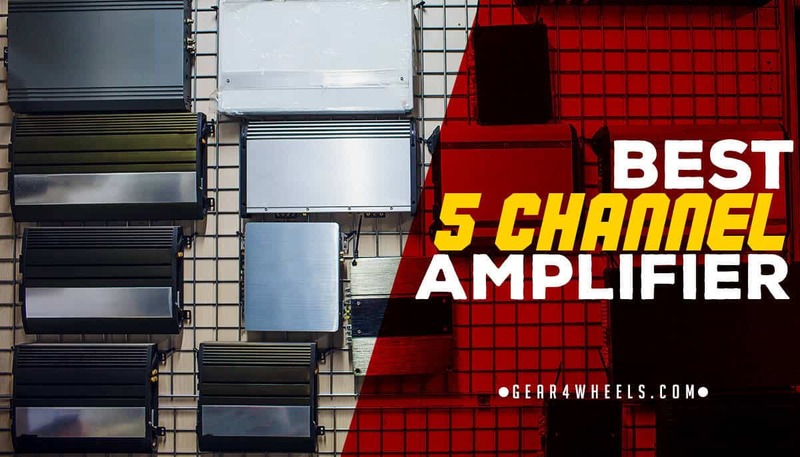 If you want to get the best sound in your car, then the best way to get there is with the best 5 channel amplifier. It will power up to four speakers and one subwoofer, meaning you won't need to have a separate 4 channel amplifier and a monoblock amplifier for your subwoofer. You save space, and more importantly, a ton of money. 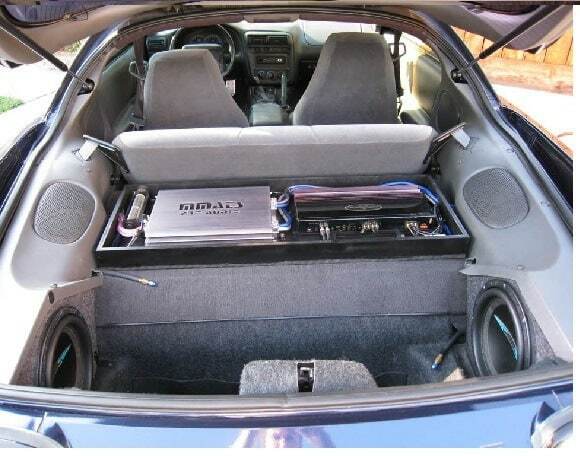 Most cars that go to professional car audio shops, leave with a 5 channel amp on them. There are plenty of brands and models, but today we are going to be focusing on the top 3 models available in the market on 2017, aswell as the two main challengers. Kicking off our list is this amplifier from JL Audio. This brand is well-known throughout the car audio community for making some of the best speakers and amplifiers in the business, and this five-channel offering is a perfect testament to that reputation. What makes this particular unit so desirable is that it comes with high-tech proprietary systems that deliver the cleanest sound and ensure that you don’t have to worry about the unit overheating or cutting off. First off, this amp comes with JL Audio’s NexD Switching Technology. Because this is a class D (digital) amplifier, it can produce higher power output out of a smaller body, all thanks to this system. JL Audio has been developing it for a while to be as energy efficient as possible as well as improve the overall performance. Simply put, with NexD inside, you can get much more power out of a compact unit like this than you would with any other brand. The next piece of proprietary technology is the advanced rollback protection. This is a system designed to ensure that the unit does not overheat by rolling back the power levels as needed without sacrificing overall sound quality. While other units have heat sinks to help minimize thermal output, this system actively monitors and controls the power levels so as to keep it at an optimal temperature. It’s like having a little elf inside that turns the thermostat up and down according to its needs. This is another high-quality brand in the car audio industry, and it’s easy to see why many people love the Rockford Fosgate difference. You get durable components, clean sound, and high output levels which can make your whole sound system better than ever before. 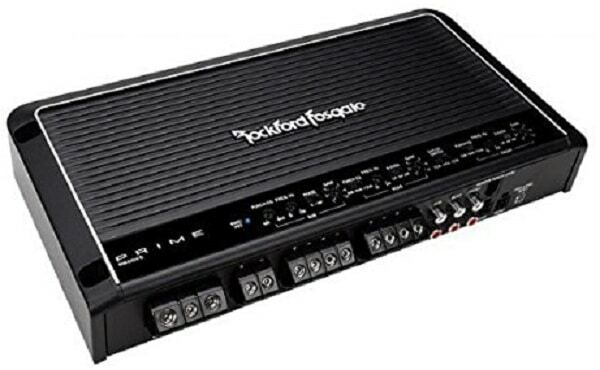 What sets Rockford apart from the pack is that they use proprietary technology to ensure cleaner sound and higher efficiency of its internal components. With the R600X5 model, you get the best of all three classes to deliver the best sound quality possible. While most amplifiers are class D or class A/B, this particular unit uses all three classes to make your listening experience unique and unmatched. The class A section is designed to give you a high-quality preamp that helps deliver better sound quality, while the class B components minimize the power output so that it doesn’t overheat. On top of all of that, it also has a class D level of efficiency so that you can manage a whole surround sound system without sacrificing quality or worrying about overheating. In addition to the multiple class systems utilized in this amplifier, it also comes with a series of internal protections to keep everything running smoothly at all times. A cast-aluminum heatsink is perfect for drawing heat away from the components, while a short circuit protector also ensures that the system doesn’t go haywire from too much power. Overall, this is one of the best five-channel amps you can find. 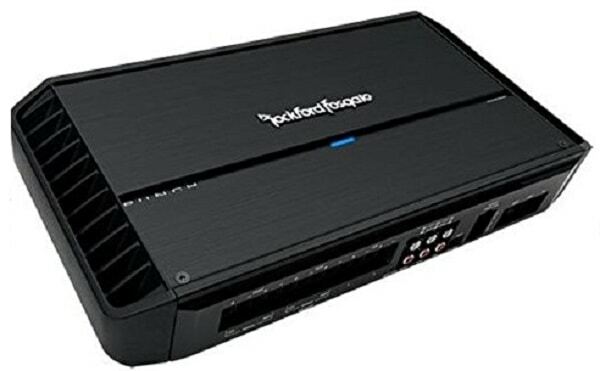 We’ve already seen what a Rockford Fosgate Amplifier can do, but if you want something more powerful that can handle your high-performance speakers, then you will need the P1000X5 model. This is a close relative of the R600X5, with the primary difference being that this unit can handle much more power without overheating or breaking down. Also, the design is much sleeker, and the installation process is much easier. To help make sure that this system can handle whatever you throw at it, it comes with extra technologies inside to keep everything running smoothly. In addition to the standard high and low pass filters, this amp also comes with balanced differential inputs to reduce noise and a Dynamic Thermal Management system to keep everything cool. It also has the technology to make the whole thing more efficient as well as monitor for peaks and overcurrents so that you can avoid unexpected shutoffs. Finally, the icing on this amplifier cake is that it uses a simplified installation process that makes it even easier to hook it up to both your speakers and your car. If you want the ultimate amp, this is it. 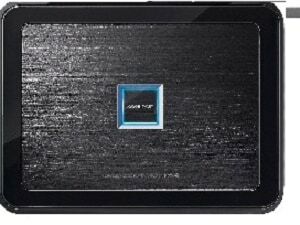 If you want an amplifier that is easy to install and can also manage your whole surround sound system, then this unit from Alpine might be for you. While other amps focus more on technical aspects and customization of the controls, the Alpine PDX-V9 is designed to be as user-friendly as possible while still maintaining a high level of quality and performance. 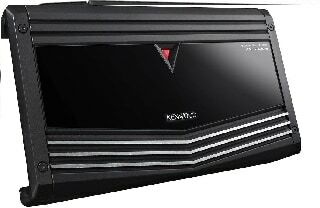 Our final stop is with the Kenwood KAC, and this is a decent amplifier if a bit limited in its power consumption. If you’re not looking for anything too pricey or fancy but still want the capability of running a surround sound system, then this might be a good option. As you can see, it doesn’t offer as much power as some of the other units we’ve seen, but that doesn’t mean that it can’t still get down. With a cast aluminum heat sink the device will stay relatively cool at high volumes, but you won’t be able to connect high-performance speakers to it without experiencing some cutoffs or heat related issues. Overall, this unit is ideal for basic surround systems, but if you ever want to upgrade, then you will need to get a different amp. This particular model does look amazing though, with a sleek and elegant design that puts the others to shame. What is a Five Channel Amplifier? For the most part, car amplifiers are broken down into various categories, one of which is the number of channels that it has. This classification has to do with how many speakers the device can connect to at once, which means that the more channels you have, the more options you have regarding connects. Best of all, with multi-channel amplifiers, you can usually also bridge them to connect to fewer speakers if necessary. 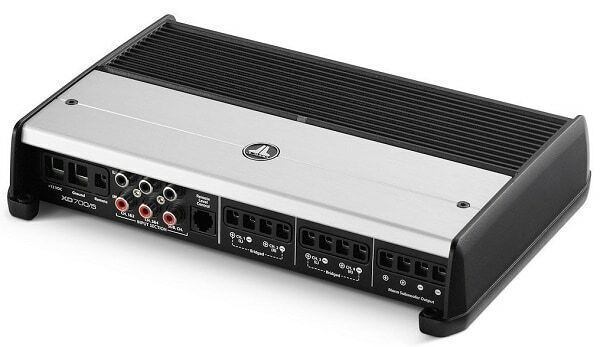 Thus, if you have a four-channel amplifier but only have two speakers, then you can bridge the extra two channels so that they are not connecting to nothing. It’s usually better to trade up to more channels as you can always reduce the number after the fact, but you can never increase it. For that reason, five channel amplifiers are perfectly designed for a surround sound system that uses four speakers and a subwoofer. This way you can get the ultimate music experience if you have the right setup, or you can bridge your channels and still get high-quality results. When it comes to this kind of amplifiers, I guess you could call me lazy. For me, the JL XD700/5 is just SO good that, if it fits the budget, there's no argument it's the best 5 channel amplifier in the market. Yes, I don't live under a rock and I know about the Audison Voice 5.1K, but the price difference between both is just ridiculous. If you need that much power, you should get a monoblock amp honestly. I hope this article has been helpful! If you have any questions, leave them on the comments below! On the 5- channel , can you run the 5th channel to a mid range 8”. I have front and rear door components and 8”” mid on the back deck. I have 2 12”” being powered by another amp. Is a 5-channel the way to go?